Super League followers, the Magic Weekend 2018 is here. For the fourth year in a row, St James’ Park will host six thrilling Super League fixtures over a single weekend and excitement is growing ahead of May 19th/20th. We are over halfway through the 2018 campaign and the race to qualify for the Super 8s and challenge for a Grand Final berth is heating up. Widnes Vikings and St Helens will open up on Saturday afternoon before Warrington Wolves face Wigan Warriors in the most eagerly anticipated fixture of the weekend. On Saturday night, we’ve got a repeat of the 2017 Grand Final as Castleford Tigers take on Leeds Rhinos – plenty of fans will be hoping that the Tigers can get revenge on their Yorkshire rivals. All six teams were in Challenge Cup action last weekend; Warrington thrashed the up-and-coming Toronto Wolfpack, whilst Leeds edged a close contest against Wakefield. Fans will be hoping for more entertainment at St James’ Park this weekend. St Helens have been very strong during the opening stages of the campaign and punters can back Justin Holbrook’s side at 2/1 to win the Grand Final this year. Warrington and Wigan are two of Super League’s in-form teams, though, and it wouldn’t be a huge surprise to see those two clubs fighting it out at Old Trafford. It is impossible to look past St Helens in the opener. 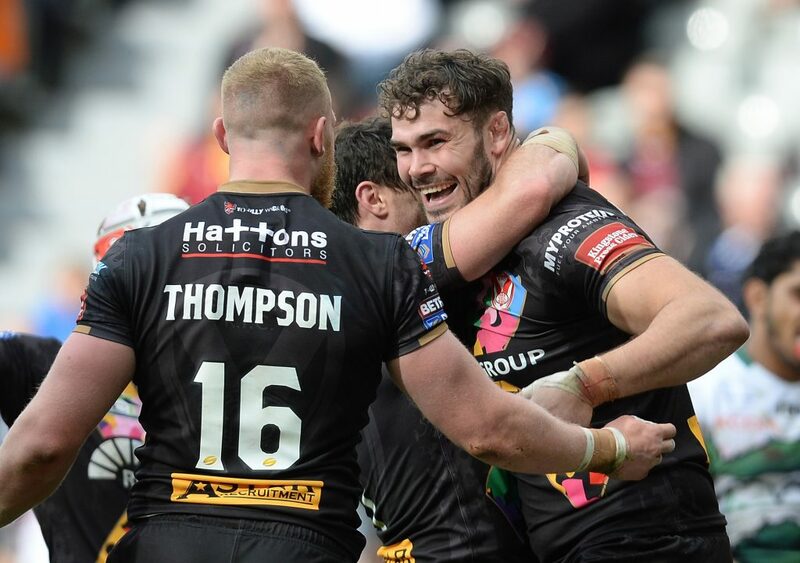 1/14 isn’t much of a price but Widnes have struggled against Saints in recent times – the Vikings have won just one of their last nine encounters. St Helens romped home in their last fixture in this event – they beat Hull FC 45-0. The Chemics haven’t won in Newcastle since 2015. The best bet here? St Helens to win both halves at 4/9 is worth sticking in an accumulator; Widnes have failed to top 14 points in their last five games against Saints. Warrington and Wigan head into this one in fantastic form. The Wolves have won their last 10 matches in all competitions and Steve Price’s side will take some stopping. Despite that recent run, the Warriors are favourites at 4/5. The two shared the spoils in last year’s fixture but Wigan have lost their last two against the Wire, and it may prove prudent to side with the Wolves at 6/5. Castleford will be desperate to avenge last year’s Grand Final defeat and the Tigers are well worth considering at 11/8. Powell will have his troops fired up for this clash and Castleford did manage to win at Headingley less than two months ago. Their Magic Weekend record is inconsistent but this could be Castleford’s time to shine. If you’re looking for a ‘best bet’, Saints to win both halves at 4/9 is up there. For those who want that additional value, opting for Warrington to maintain their recent run of form at 6/5 is the way to go. A tasty treble on St Helens, Warrington and Castleford is backable at 9/2.